When you need sound, expert advice, who do you turn to? 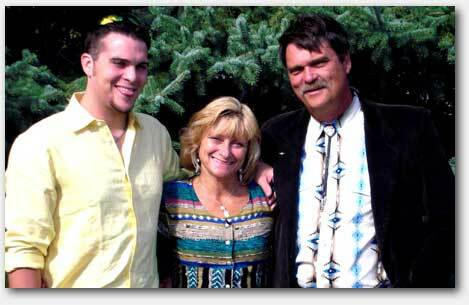 Tim has been a mobile RV technician for over a decade, and his services and expertise are in great demand both North and South of the 49th parallel. His ever increasing list of loyal clientelle range from RV Dealers to RV travellers all over North America. Now, I must admit, Tim and his kind and helpful nature is what led to the production of this video. You see, we sometimes get called to drive hundreds of miles to help a customer with the simplest of problems (like changing a fuse or flipping a bypass valve). Being someone who will never let a customer down, Tim will go that extra mile and then cringe when he has to collect the fee for his work. Thus is born the RV Walk-Thru. Tim relays his knowledge and expertise via the video to help you with those problems that may not require a tech, and therefore save you lots of money! Up until a few years ago, Tim and I would pack up and head South to our friends and families just outside of Apache Junction Arizona every year, where we would remain busy with RV stuff throughout the winter. Then, come April, it's back to the DogPound, and the cycle continues. We've now settled in our new home, and Tim still does his mobile business, and I am handling the orders for the RV Walk-Thru. Now, don't get me wrong - it's not all work for us! We have fun camping, riding, and playing real songs around a campfire, frolicking and cavorting in the back hills when we have time to escape, and visiting with the great RV'ers we meet on a daily basis. As you can see in the video, life with Tim has it's moments! But, back to business. Tim is highly respected and trusted in the RV industry, and you can comfortably put your faith in him and his sound advice. After all, his reputation and The RV Walk-Thru speak for him! I should know, I've been his co-pilot for over 30 years! The Birth of the RV Walk-Thru. This family owned and operated company has seen incredible feedback from its clients due to the overwhelming need for knowledge in the field of RV Education. 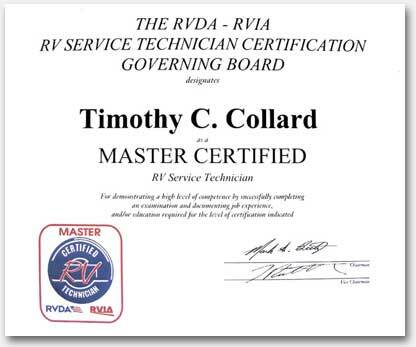 It all started with Tim's need to express his knowledge about the technical aspects of RVs since there very few sources of good information available. It seemed as if there was a secret that could only be discovered by the charge of a high cost RV Repair Shop. Being a mobile RV technician, he has experienced many scenarios where the customer could have saved themselves a ton of money had they known what to do before having to call for help. The idea of a video that was packed full of good RV information came to mind. Tim and Sherry purchased some video equipment, and started writing out their thoughts. Shortly after, I took notice and decided to become the third leg on the tripod. Having an extensive background with video recording and art, my talents would be quite valuable for such an endeavour. Without any formal training, or any slight idea on how to make this happen, the crew started brainstorming ideas. Like they said in the video, they are "not actors", and you can certainly tell. The only difference is that they are "creative". This creativity and aspiration to try new things is what lead us to the production of the RV Walk-Thru. That is one of the elements that makes this whole ordeal a success, the fact that they can be themselves while passing on good useful information to the viewers. After about 4 months of filming, editing, and designing, the RV Walk-Thru hits the internet December of 2004. At this time not knowing much about internet marketing at all, we were in a bit of a costly situation. The website developer and host that we had hired turned out to be more of a pain in the neck than anything. So we broke the chain with them and decided to take this on independently. That's where I was pushed into website development. It was rough at first, but I eventually got the hang of it. Now everything is doing fine, and will continue to grow. In time, we hope the RV Walk-Thru will be a nationally known and recognized company providing near endless sources of good solid information for the people that seek it.